UP UNTIL 125 YEARS AGO, there wasn't a single country in the world that allowed women to vote in general elections. 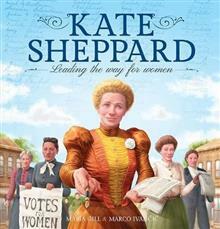 But that was before KATE SHEPPARD. 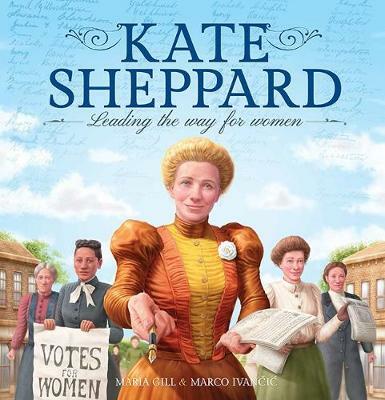 With fierce determination and unstoppable belief, Kate led the way in the women's suffrage movement and rallied enough support to make New Zealand the FIRST COUNTRY IN THE WORLD to give women the vote! When Kate was young, girls didn't get to play football and women weren't supposed to ride bikes. They had to wear suffocating corsets and behave like ladies! Spirited Kate wanted much more than that. And she battled to get it. JOIN THE MARCH for women's rights and LEARN ABOUT THE LEGACY that lives on to this day.